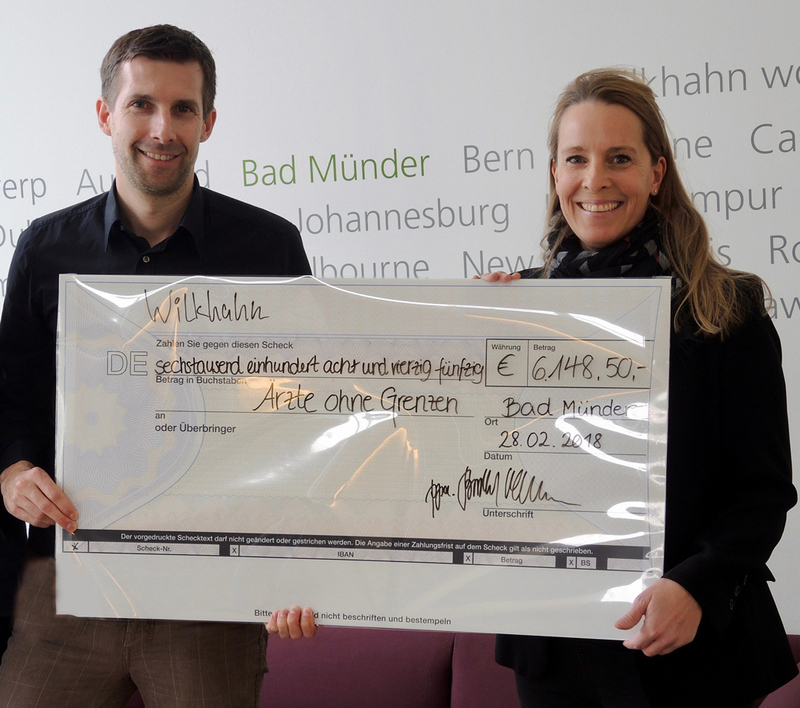 Wilkhahn rewards its staff’s use of social media by making a donation to the German arm of Doctors without Borders. Handing over the cheque to Doctors without Borders, on the left: Wilkhahn’s online marketing manager Leif Giesenbauer, on the right: Imke Mähler, a doctor from Hanover and part of the Doctors without Borders team. As one of Germany’s leading office furniture manufacturers, Wilkhahn wants to set a good example, not just with regard to its products and production, but also in terms of its contribution to society at large. And it does so with the help of an integrated, digital communications strategy. At the heart of this strategy lies Wilkhahn’s blog with its responsive design and staff sharing its content via particular social media channels. At Wilkhahn, its staff’s private use of social media is therefore rewarded by a concept that benefits the rest of society: by sharing Wilkhahn news in the social media channels, all employees can collect points for a charity, which are ultimately turned into a donation. At the same time, a special fan counter for everyone to see in a communal area at the company keeps a tally of points. 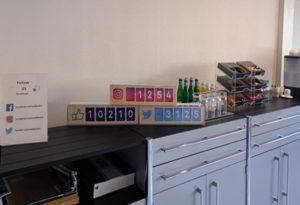 Fan counter for various social media channels in a communal area at Wilkhahn. The principle’s based on an app crediting 100 points to each member of staff who shares articles in a social media network. Staff then transfer these points to a favourite charity, which included the World Wildlife Fund WWF, UNICEF and Doctors without Borders. At the end of the year, the German arm of Doctors without Borders had a narrow lead as the workforce’s favourite. Wilkhahn converted the points into cash and then doubled the amount, resulting in a cheque for €6,148.50 to the humanitarian organisation. In the digital age, it’s sometimes just like in real life: sharing is caring. Click to read more about Wilkhahn’s corporate policy and our approach to social responsibility.